A photo of chasers under construction. Caption: "Navy Yard New York 11-27-17. Submarine chasers under construction neaer D. D. No. 4. Bow view 3453." 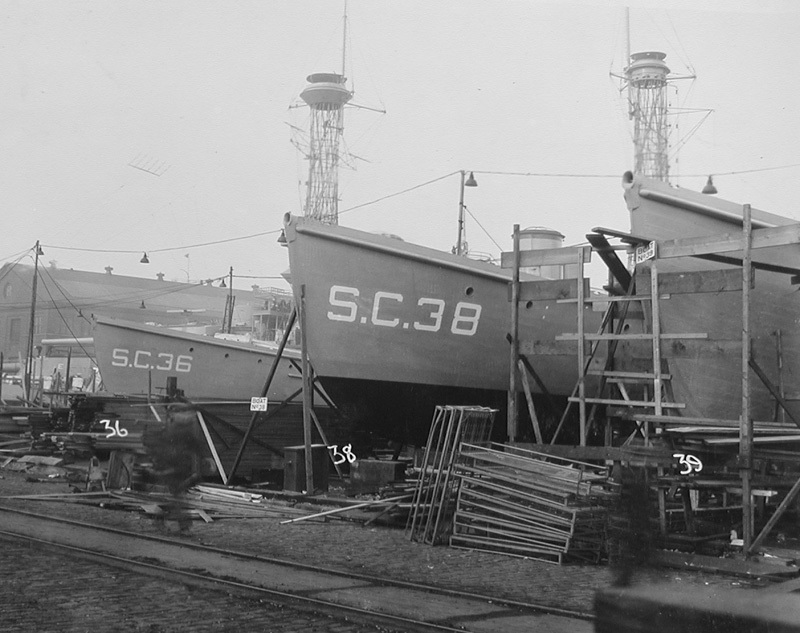 See also the photo of SC 38 in the Irby Collection. Am having a fine time and seeing all the sights. I get Paris leave next month. 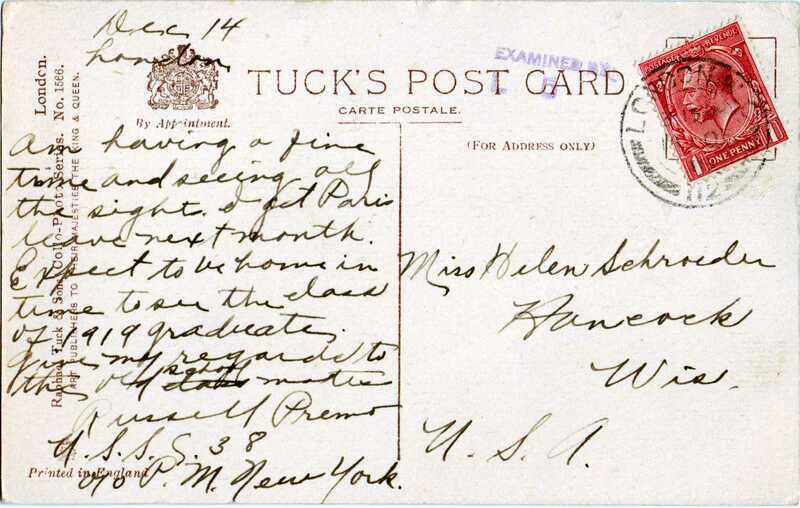 Expect to be home in time to see the class of 1919 graduates. Give my regards to the old school mother.